Here are some resources in trying to pursue a more fully Trinitarian language of worship. We love these great Trinitarian hymns – either because they reflect a balance of the whole Trinity in their text or emphasize the often neglected Spirit role in the Trinitarian ecology. The apostles creed is a wonderful way to measure the breadth or lack-there-of of your song repertoire. This is a collection of 12 hymns each addressing one aspect of the apostles creed. 25 songs reflecting on and singing to the Holy Spirit. This is often one of the most glaring deficiences in our worship of the triune God-head. Give your people language and songs so they can sing to the whole Trinity. 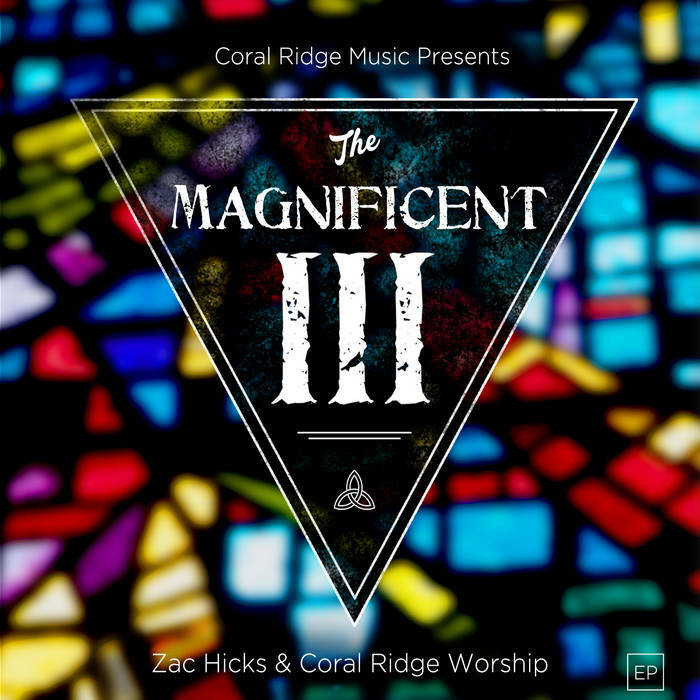 An EP of songs from Zac Hicks and crew intentionally reflecting on the Trinity. HERE are is a wealth of links from CICW for meditating on a Trinitarian theology of worship. Now the Catholic Faith is this, / that we worship one God in Trinity, and the Trinity in Unity; Neither confusing the Persons, / nor dividing the Substance. For there is one Person of the Father, another of the Son, / another of the Holy Ghost; But the Godhead of the Father, and of the Son, and of the Holy Ghost is all one, / the glory equal, the majesty co-eternal. Such as the Father is, such is the Son, / and such is the Holy Ghost; The Father uncreated, the Son uncreated, the Holy Ghost uncreated; The Father infinite, the Son infinite, the Holy Ghost infinite; The Father eternal, the Son eternal, the Holy Ghost eternal; And yet there are not three eternals, but one eternal; As also there are not three uncreated, nor three infinites, / but one infinite, and one uncreated. So likewise the Father is almighty, the Son almighty, / the Holy Ghost almighty; And yet there are not three almighties, but one almighty. So the Father is God, the Son God, the Holy Ghost God; And yet there are not three Gods, / but one God. I too lament the lack of Trinitarian songs in the worship of the church. I’ve been talking about this for years. I’m glad to see that you’re giving some examples for us. I like the song “Three In One, We Praise Our God” with the exception that the Spirit is referred to as “it.” In my understanding, to refer to the Spirit as “it” obscures (or perhaps even implicitly denies) his “personality.” For this reason, I couldn’t use this song in our worship services, even though I would really like to. Thanks for the reply and for considering a wording change. As I read over my comment again, I was perhaps too short in any contextualization of why I said what I said. For this I apologize. My context is basically this . . . I am always on the hunt for more Trinitarian songs because I believe the doctrine and reality of the Trinity is not simply good, orthodox teaching, but also essential to our glorifying and enjoying God and to understanding the gospel of the kingdom (I could go on and on about this, but I’ll spare you from my tirades!). Add to my longing to find songs that are explicitly Trinitarian the fact that there are many people in the congregation I serve who have all kinds of misunderstandings about the Spirit . . . I find myself wanting to clarify and instruct when it comes to issues concerning the Trinity in general and especially the Holy Spirit. So I am wary of all sorts of good songs because of the way something is phrased. I guess I’m “sensitive” to my own context when it comes to these kinds of things. I am not trying to be overly critical . . . I’m simply trying to apply truth to my context as best I know how . . . and if a word or phrase can be changed to clarify some potential misunderstandings, I certainly would appreciate it! Anyway, thanks again for your humble consideration about the issue I raised.